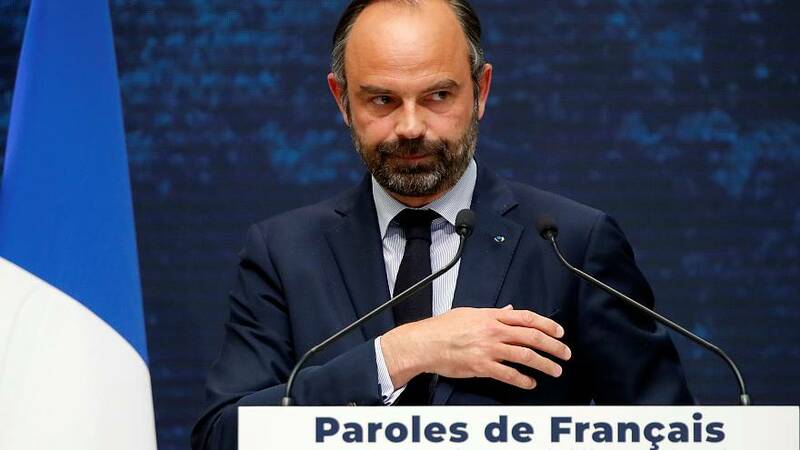 French Prime Minister Edouard Philippe said that the reduction of taxes was one of the findings of "Great National Debate" at a press conference on Monday. The Great National Debate was series of town hall-style gatherings were scheduled across France where citizens could speak to their local mayors about their concerns. Philippe said there were four key takeaways from the debates: Quickly reduce taxes, forge closer bonds between cities and rural areas, strive for a participatory democracy, and address the climate problem without taxing people for it. "Zero tolerance for more taxes"
"The first thing we need to work at is reducing the stress surrounding taxes," said the prime minister, "my government is conscious and that is why we have cancelled the carbon tax." "The country has reached a zero tolerance level towards more taxation and only one solution is available: we have to lower taxes and we have to lower them quickly," he said. 80km/h: "I have to learn to deal with rejection"
The prime minister also seemed to take the blame for lowering the speed limit to 80 km/h last year: " I must learn to deal with the misunderstanding or rejection of some of the citizens." He's left the door open for a potential change to this road safety measure. This new measure was widely criticised by the French population when it was passed. Philippe pointed at the necessity to reestablish a bond between French citizens living in cities and in rural areas. "We need to reestablish a balance between cities and less populated areas" but also "invest more in public transport" to link rural and urban. Philippe said that public transport should be "used to establish contact". "The French are aware of the climate emergency, they know that what is at play is essential," said Philippe, adding that French people are not climate sceptic like other countries but that they don't want taxes to tell them how to act. "The message was 100% received on that one," he confirmed. To build more trust between citizens and their politicians, Philippe said he would explain "how government functions" and "build a more deliberative and participatory democracy". French people want a "more representative democracy, that is also more transparent and more efficient." The question now is what French President Emmanuel Macron will do with the conclusions of the debate.